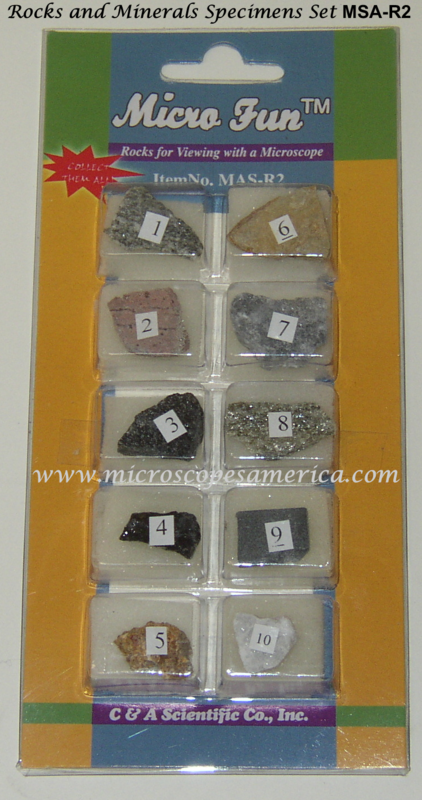 These Specimens and Specimen Sets enable students to get a good look at the texture and composition of minerals, rocks, organic compounds, animals and more. 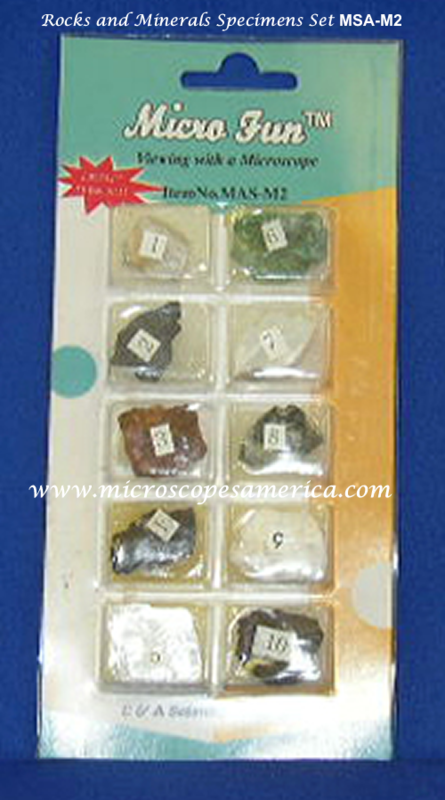 These products are durable, easy to store, easy to use, and easy to maintain. 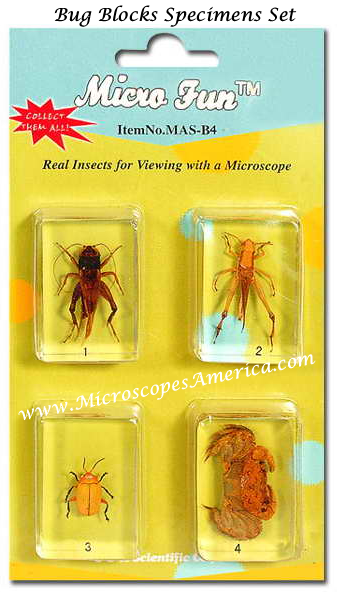 Stock up on our Specimen Sets today and help your science class put nature under the microscope. 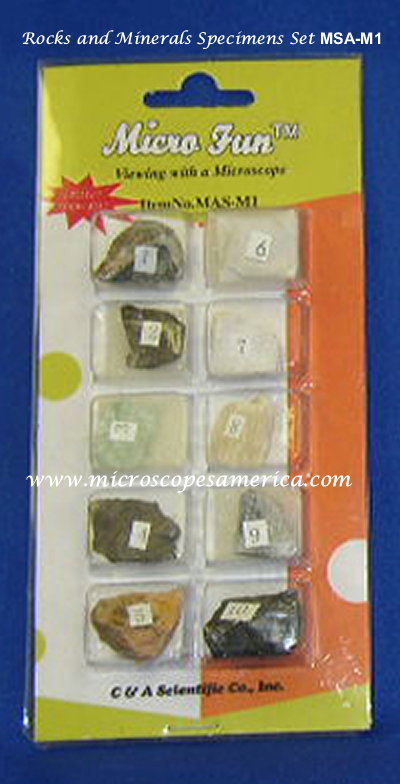 12 Common specimens, mounted on 4 cardboard "slides." 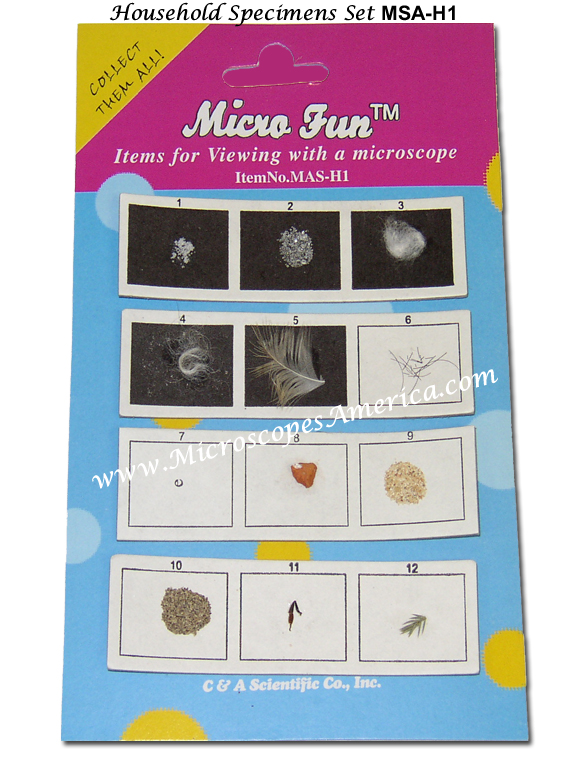 A collection specifally designed for use with our stereo microscopes (including SMD-04) these sets are packed on colorful cards that slide off the plastic package for access to the specimens. The package doubles as a storage unit. 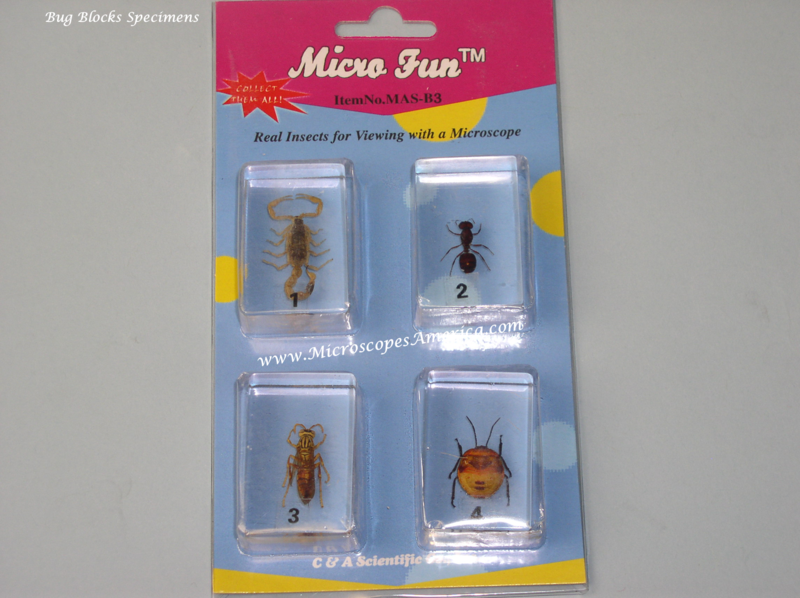 Set includes four real bugs encased in an acrylic block. 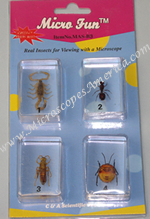 10 specimens in each set, with descriptive literature.